There's nothing like a new lipstick range or collection to get me excited, so when I got the press release that Maybelline were finally releasing the Color Sensational Creamy Matte* range my ears definitely perked up. 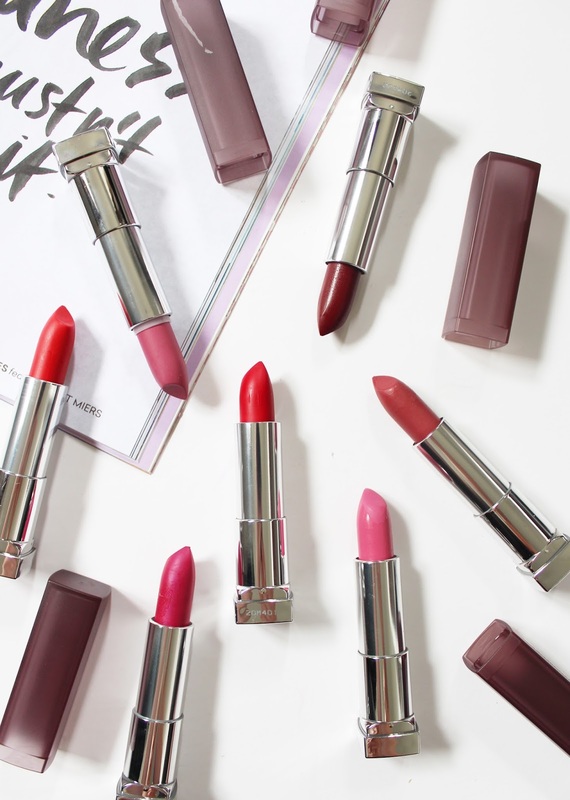 A whole new drop of Maybelline releases came out in February (overview of new products here), which welcomed this lipstick range to NZ stores. 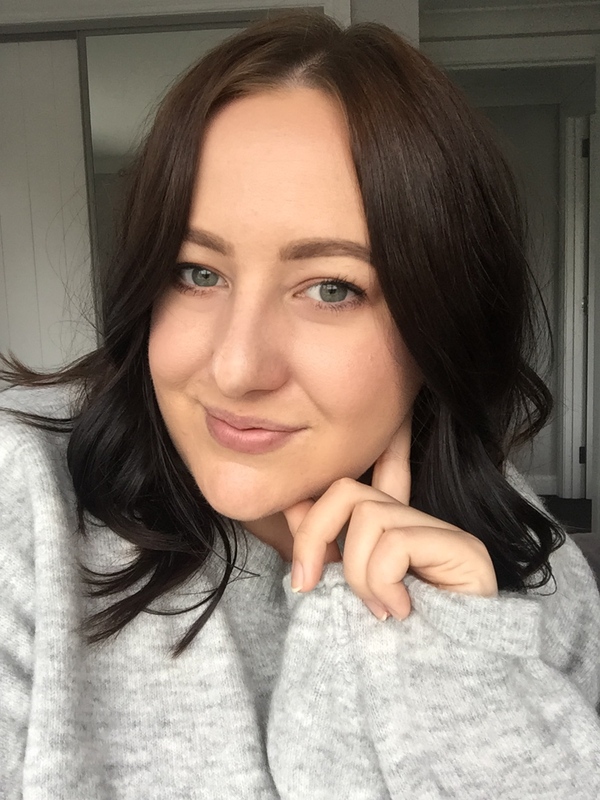 I am a sucker for lipsticks slash lip products in general, and always looking to try new ranges, shades, and formulas. I had already tried this range well over a year ago and bought the shade Ravishing Rose back in November of 2014 whilst on a trip to America. I am glad they've released them into the New Zealand market finally as I am a big fan of the formula. As the name suggests, they are creamy, and they are matte. Should I just leave it at that...? No, I definitely can't just give you that as a review! 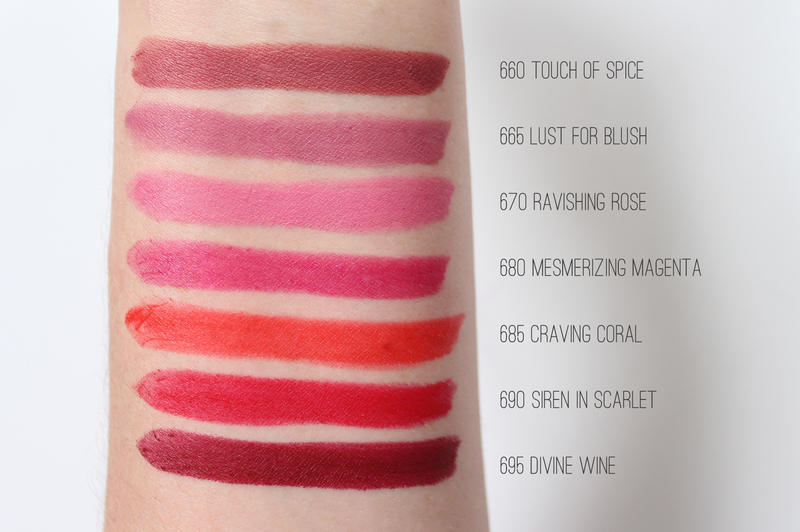 As you can see from the swatches above these are really well-pigmented lipsticks; they don't drag at the lips like some very matte lipsticks can, and they apply really smoothly. I would say they have more of a satiny finish to them, rather than a full on matte finish, which makes them really comfortable to wear throughout the day. These are going to transfer and wear off over the course of the day, but will stick around a lot more than a creamier formulas as they have that bit of dryness to them. The shade range is spot on; there're some gorgeous neutral shades (I mean, just look how nice Touch of Spice is!) There's also a vibrant red and orange, and some darker berry reds and pinks that are totally Autumn appropriate. These lipsticks retail for NZD $19.90 and can be found at any Maybelline stockists. There are a few more shades than the ones I have here as well - definitely worth checking out. 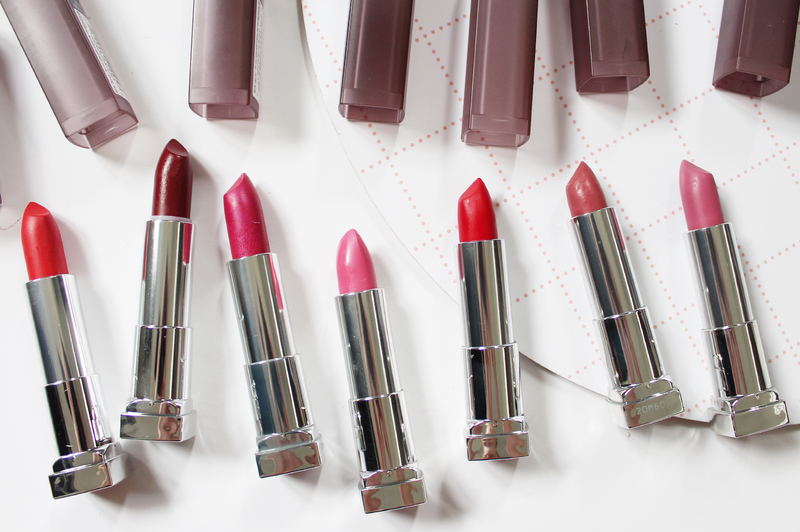 Do you own a Creamy Matte Lipstick? What shade takes your fancy?